Carpet Cleaning in Dania Beach Florida has never been easier with Steam N’ Shine! 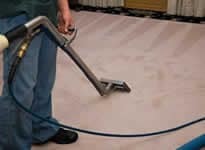 We offer a full range of steam cleaning services to keep your carpets looking clean and smelling fresh.Steam And Shine Dania Beach is a highly skilled team of experts ready to handle the toughest of steam cleaning jobs. No matter what size job, we’re looking forward to steam clean your Dania Beach home, office, or apartment. Steam And Shine Dania Beach specializes in the steam cleaning method of carpet restoration. 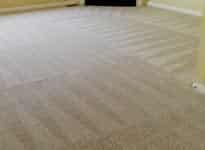 In addition to basic steam cleaning, we also offer affordable carpet deep cleaning. Carpet deep cleaning involves the application of organic pre-conditioner to begin emulsifying and breaking down tough stains and dirt in heavily soiled areas. After these spots and unsightly marks are lightened and loosened by our deep cleaning pre spray, we steam clean your carpets with a temperature and pressure slightly higher than normal. This additional temperature and pressure is needed to completely extract all traces of heavy soil, stains, and dirty water. Steam N’ Shine – Dania Beach’s Carpet Cleaning Specialists! 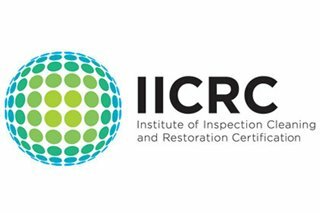 Looking for a reliable and trustworthy carpet steam cleaning company in Broward County? Look no further! Steam And Shine Carpet Cleaning Dania Beach is here to fulfill all of your carpet cleaning needs. Broward County residents have trusted us for years to handle the big jobs and the tough stains, but we’re also equipped to handle small jobs and routine cleaning all across Dania Beach and Broward county. Let Steam N’ Shine Dania Beach come to your home and show you why we are the best carpet steam cleaning company in all of Broward county. Steam And Shine Dania Beach does not sub-contract jobs, which means you’ll only get steam cleaning experts specially trained to handle your carpet cleaning needs. 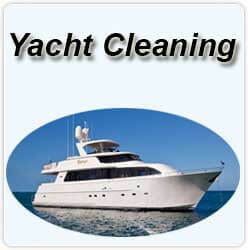 We provide professional service and excellent customer care. Steam And Shine Dania Beach goes above and beyond to delight our customers and clients with our award-winning steam cleaning service. Did you know the best carpet steam cleaning company in all of South Florida is right around the corner from you in Dania Beach? Steam N’ Shine customer service experts are standing by to take your calls and show you what makes us the best steam cleaner in town! 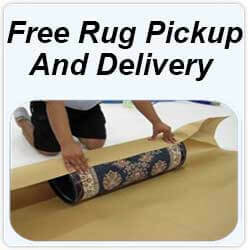 We offer free estimates, emergency service, and free pickup and delivery on all area rugs. Just call us today and experience the Steam And Shine difference. Pet Stain and Odor Removal – Keeping Dania Beach Fresh! Many of Steam And Shine’s Dania Beach friends and Broward County neighbors have indoor pets, most commonly dogs and cats. Pets are wonderful additions to a family, but sometimes the associated odors and stains from accidents can get frustrating. That’s where Steam N’ Shine comes in! We make it easier to love your dog or cat by offering easy low cost pet stain removal and odor mitigation. Pet stains can set and become permanent, so be sure to call Steam N’ Shine right away for best results. For pet odors, Steam And Shine offers a 100% pet odor removal guarantee on all carpets and rugs. Steam N’ Shine has been steam cleaning all across South Florida for years and is excited to now offer special discounted services to qualifying residents in the following Dania Beach zip codes: 33004. Call today to see if your home, apartment, or condo qualifies for an upgrade from standard steam cleaning to intensive deep cleaning and pre-treatment at 25% off! Dania Beach Florida – Steam Cleaning and Beyond! Basic steam cleaning is a great way to freshen up your home. We recommend steam cleaning your carpets once every 4 to 6 months. If you haven’t had your carpets steam cleaned in a long time, the deep cleaning option may be what is needed to restore your carpets. For stains that have sat longer that a week and for heavily soiled and dingy carpets Steam N’ Shine Dania Beach recommends deep cleaning your carpets. Steam cleaning is a powerful, efficient, and effective way to remove dirt, stains, traffic, and certain odor-causing bacteria from your carpets. It all begins outside in the Steam N’ Shine van, where we prep our truck-mounted industry leading steam cleaning machine. That’s right, no heavy machinery is brought into your home, only our hoses. In our van we mix our proprietary blend of stain removing carpet shampoo, set the steam cleaning unit temperature and pressure, and connect to the hoses we have set up inside your house or apartment. After setting up our steam cleaning machine, mix professional grade carpet shampoo, and connecting our hoses, we steam clean your carpets with our carpet wand. It’s called a carpet wand, and our customers love to refer to it as such, because it actually erases stains and dirt like magic! Pressurize cleaning solution is pumped through the first hose and jettisoned out of the wand directly onto your stained carpet, where it blasts away years of dirt, grime, and stains. The dirty water is immediately suctioned up by a high-powered vacuum connected to the wand. Waste water is extracted to the holding tank inside our truck, then safely disposed of.